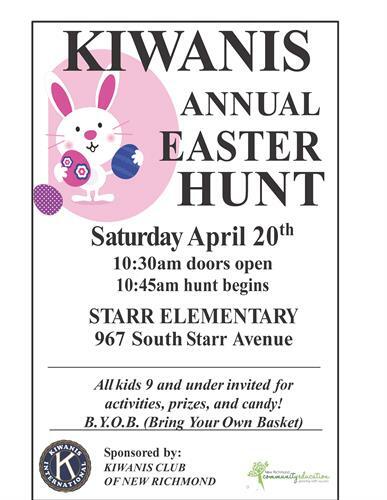 Please join us for our Annual Easter Hunt Event! This year we are again partnering with New Richmond Community Education at Starr Elementary. All kids 9 and under are invited for activities, prizes, candy and a visit from the Easter Bunny! Doors open at 10:30 AM! Hunt begins at 10:45 AM! Bring your own Easter Basket! Be sure to bring your own Easter Basket!